Originally built in 1899 and served as a Bellevue Hotel in Beacon Hill, today 21 Beacon is a luxury residential condo building that features a concierge, elegant common areas, elevator, laundry on every floor and common roof deck with magnificent and sweeping city views. This is a pet-friendly establishment. All residential condos are renovated and include wood floors, renovated kitchen & bathroom, soaring ceilings & stunning period details. 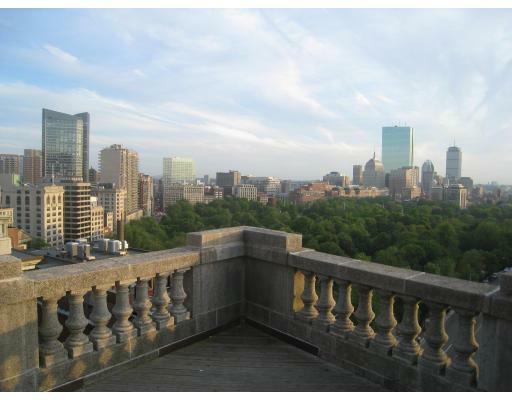 Nestled in the heart of Beacon Hill at the corner of Beacon and Bowdoin, Bellevue condo property is within walking distance to the Financial District, State House, and Newbury Street with the Boston Common right at the doorstep. Contact us for more information on the Bellevue Apartments in Boston MA. Available May 1st. A pet-friendly, one-bedroom apartment which is centrally located in Downtown Boston! This pristine home is steps away from ALL FIVE subway lines, Roche Brothers Supermarket, Whole Foods, great shopping, fabulous restaurants, MGH, Tufts, Suffolk, Emerson, and the Boston Common Off-Leash Dog Park!!! Rent includes heat, A/C, and electricity. The bedroom is large enough to fit a king-sized bed. This historic building features a concierge, elevator, laundry and trash rooms on all floors and a spectacular common roof deck that overlooks the Gold Dome of the State House, Back Bay, the Charles River, and Cambridge. This southwest-facing apartment has hardwood floors throughout, great closet space, and was newly painted. The apartment faces Beacon Street allowing for significant sunlight throughout the day.